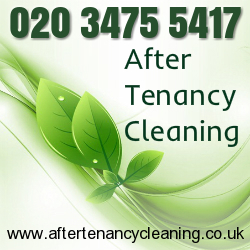 We offer end-of-tenancy cleaning service for London and nearby areas. Our cleaners are some of the best professionals available in the industry at this moment. Our service is the most advanced one, with the help of latest techniques and methods we have designed most successful cleaning program. Our cleaners are well trained and highly experienced to handle almost any kind of cleaning assignments. We offer the fastest end-of-tenancy support service, which means while you are busy packing and moving out we look after the tedious part of it, i.e. cleaning up the premises. We ensure that you leave your rented accommodation in a prim and proper condition. Unkempt premises can invite bad or below average referral and non-refunding of your deposits. Property owners are particularly concerned about the sanitation of the rented area since they have to keep it well maintained for new tenants. Moving out of your previous rented accommodation should not be a stressful experience as you already have your hands full with packing and relocating. Hiring a premium end-of-tenancy cleaning service can take lot of burden off your shoulders. Our service includes flawless cleaning of most difficult part of the house namely the kitchen and bathroom. No matter how particular you have been over the years these areas tend to get dirty. Kitchen, particularly the cooking area is highly greased and ruined by stains. We employ cleaning agents that will target the stubborn stains and remove them in matter of few minutes. We scrub, wash, polish and mop the entire space; at the end of the cleaning program you will observe a noticeable change. Bathrooms are also notorious and we pay special attention to all bathroom fittings we scrub, clean and sanitize the toilet and its seats, sink, taps, shower, tiles until they shine. 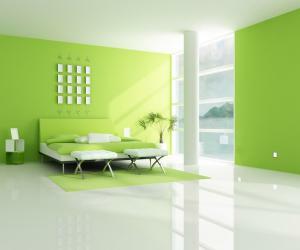 We will clean, dust, vacuum clean, mop and polish every hard and soft surface of the property. We will clean the carpeted floor with the help of powerful vacuum cleaning and cleaning shampoos and solutions. None of the cleaning solutions used during the process is harsh in nature; each and every product used by us belongs to reputed brands of cleaning industry. Our journey has been truly amazing and we have set new standards in the cleaning industry. Our comprehensive cleaning service has been designed to take care of all the cleaning worries of the tenants. We offer highly inclusive program at very affordable price. Call us to get all the details of our services.